Caring for a lionhead baby bunnies differs from caring for a grown up lionhead rabbit. They need for example a lot of extra daily care and have a special diet. If your lionhead rabbit is pregnant and will give birth to bunnies any time soon you should visit our page that is related to caring for a litter. The current page you are reading will focus on caring for one or a couple of young bunnies that you’ve bought. There is a difference in caring for a single lionhead baby bunny and caring for a complete litter. Caring for a complete litter including the doe is more complicated and requires some experienced handling. This is due to the fact that you also have to care for their mother and they need extensive specialized care till 3 or 4 weeks after they are born. After you purchased one or multiple bunnies the first thing you should do is to create an environment in which they feel comfortable and safe. There are several options, you could either buy a cage online or at a local pet store or you could create your own. Please keep in mind that baby bunnies do not require a lot of space. Moreover, most breeders and bunny owners use a simple box that has straw or a soft blanket at the bottom. Whatever option you select the aim should be that you create a warm environment that is comfortable. In order to drink you will have to place a water bottle or a small container that allows the young rabbits to drink fresh water. See here a list of housing options. A blanket to keep your babies warm is recommended. In general a breeder will not sell a lionhead baby bunny until he no longer depends on his mother for feeding. Therefore it is most likely that your bunny is already used to eating small portions of alfalfa hay and pellets. This is exactly what your baby bunny needs. Their diet should consist out of high nutrition food with a lot of proteins, fibers, fat and calcium. In addition, it is recommended to feed your bunny with alfalfa hay and occasionally a pellet. Read more about what to feed your lionhead rabbit. It might be helpful to keep a list of everything you feed them, that enables you to better monitor their weight and general health. Please keep in mind that it is not allowed to feed any rabbit treats until they are 7 months old. Especially when lionhead rabbits are relatively young you should give extra care to their manes, if you don’t groom them once in a while this might lead to health concerns such as an ear infection. It is important that your baby bunny learns to be in companionship with humans. That way you might be able to create some kind of a bond between you and your lionhead and reduce the odds that he eventually become very skittish. I just recently took my baby lion head to the vet (she is 12 weeks) and the doctor I saw has specialized in rabbits for 20+ years. He said that they should actually be fed Timothy hay instead of alfalfa hay because alfalfa hay should only be a treat because too much can harm their immune system. I read that timothy should not be given to bunnies under 7 months. Can someone clarify? Yes, they can not eat Timothy hay under 8 weeks of age. I’m allergic to alpha and most other hay. Is it possible to have a healthy pet lion head without using any hay? No, it’s not possible to have any rabbit without hay. Yes it is. Grass is another substitute. Silver foxes, lion heads, and mini Rex's. It is not possible to not feed you rabbit hay, they need it to help digest their food and it helps them poop. Try orchard grass, people tend to have less reactions to it. Make sure to feed you baby bunny unlimited grass hay and veggies such as romaine and your bunny will live a healthy happy life. I feed my baby lion head timothy hay! I was told alfalfa hay for 6 months then switch to Timothy hay. Yes, that is true. Alfalfa hay as to many calories and protein for adult rabbits. The alfalfa hay is actually a sweeter hay and if youre feedi NH the baby that it can sometimes not want to switch to the more bland (timothy) hay and if you have to keep feedimg the alfalfa because it wont switch, it can be very bad for them because of all the natural sugars! 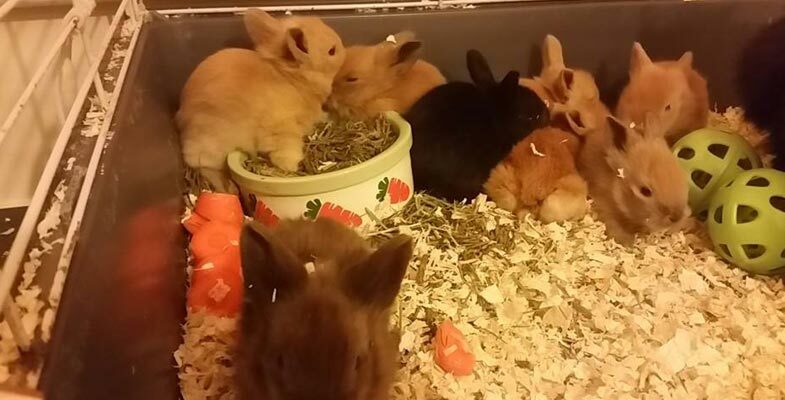 My lionhead just had 9 kits I thought they only had 3 to 5 ?????? You should never feed a lionhead rabbit alfalfa, is what my breeder told me. Timothy hay only. My vet told me Timothy hay as well. I was told alfalfa until they’re a little older. Alfalfa is higher in calcium and a but heavier but she told me no, they should have Timothy hay. I have given them a mixture of both. does anyone here think it is smart to give my 9yr old daughter a Vienna Lion head kit rabbit? Only if your willing to do most of the care! Lionheads are a lot of work for a child. My 12 year old has 2 but with all the grooming, cleaning, diet and so on I have to overlook everything. If they are not properly groomed everyday you can run into health issues as they swollow large amounts of hair and they get dirty back sides. Sounds smart to me but I don’t have to do much care they go out once every other day in a fenced yard and that’s it I just supply pellets fresh greens from the garden – 1 carrot and water bowl twice a day. My first pet was a hamster. It was great.p.s. if mine gets a mat I just cut it off. I have a lipnhead rabbit that ate one of her babies and I found the other one on the ground so I am taking care of it. It’s been 3 days and she is still alive, but she hasn’t pooped yet. How long till then? Is there any tips you could give me for helping this little baby? No. This is about rabbits. Not hunting lions. My rabbit was supposed to be a male but I woke up to 6 baby rabbits. They are now 4 weeks old and they eat timothy hay, pellets, grass and veggies. All my babies died except one. He’s 6 days old.. how do I keep it warm without its siblings? With the type of rabbit I might be getting (Lionhead) it will need frequent grooming to prevent mats and hairballs. All rabbits need a constant supply of hay for proper digestion and wearing down of constantly growing incisors. 1/, 1/8, and 1/4 cup of pellets daily varies due to size/weight. Lionheads will probably need the smallest portion, because they only weigh around 2 1/2 to 3 lbs. Water bottles are okay but it’s better to find a large ceramic bowl set for both food and water. I read that rabbits can drink a lot more water than people think, as much as a small dog! Rabbits can easily be litter trained. They like to eat and poo in the same places, so place their hay rack near the litter tray. They need lots of exercise out of their cage. I’ll be using a large dog crate and giving it lots of supervised exercise. Bunnies need soft flooring to prevent sore hocks. You need to bunny-proof any rooms they’ll be playing in. Great job, Meghan! Sounds like you have done your research. I think you sound very ready! 😃 God bless! Water bottles are harder to clean, get cloged, make your rabbit tilt its head at an awkward position and it’s more natural for a rabbit to drink from a bowl than a water bottle. And about the hair thing, you just need to clean it out more often. My favorite flooring to use for my rabbit is fleece. My Lionhead rabbit just gave birth to two baby kits! It took 1 or 2 tries so you just have to be patient! Wish you luck with your little kit(s)! eating so much lately… ( duh) .. whatever they have been eating Dr said they are perfectly healthy… so I think they are more resilent than people think! 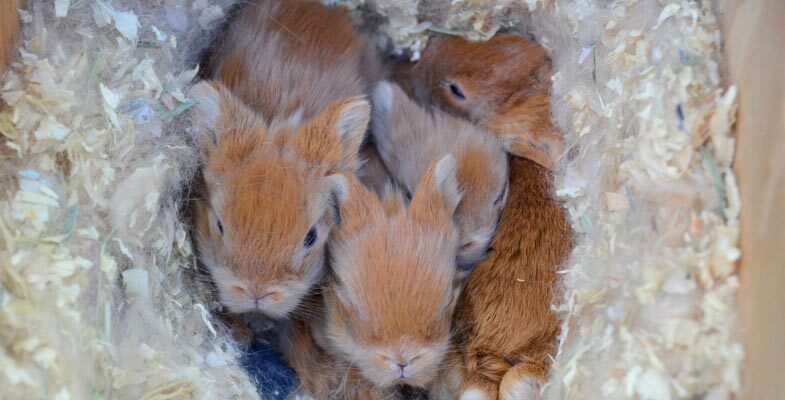 Do baby lion head mix bred bunnies get along with older rabbits that are a different breed of rabbit for an example. I have a male Alaska rabbit named Zeak, about 4 years old now and I was thinking about getting a young 1 year old male lion head mix breed bunny but I was concerned if the breed, age or the gender mattered a large amount. I don’t think breed matters, but gender definitely does. Two mature males will continually battle for dominance. They viciously fight and try to mount each other and it is common for one to kill the other.